The following example shows how to specify the channel data used to launch the Bing website. To launch an app, use the app's protocol activation URL. 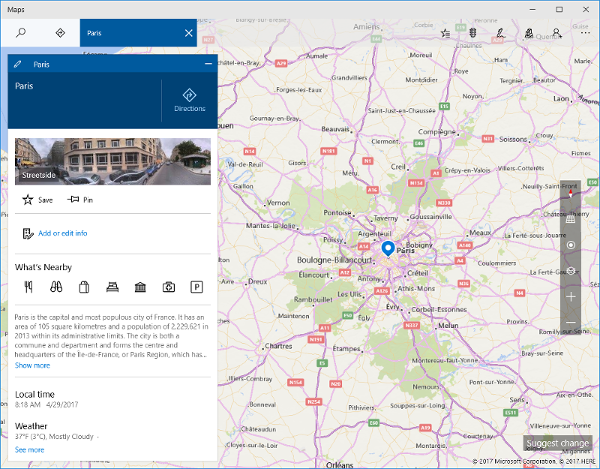 In Windows 10, the built-in Maps app supports launching and deep linking. For information about the Maps app and different ways to launch it, see Launch the Windows Map app. The following example shows how to specify the channel data used to launch the Maps app and center the map over Paris. The following image shows the launched Map app. If the user has Skype installed, they can launch it to to start a call or instant message conversation in Skype for Business or the home version of Skype on Windows, Android, and iOS. If the user is signed into Skype for Business, the following code opens an instant message conversation window with "someone@example.com". 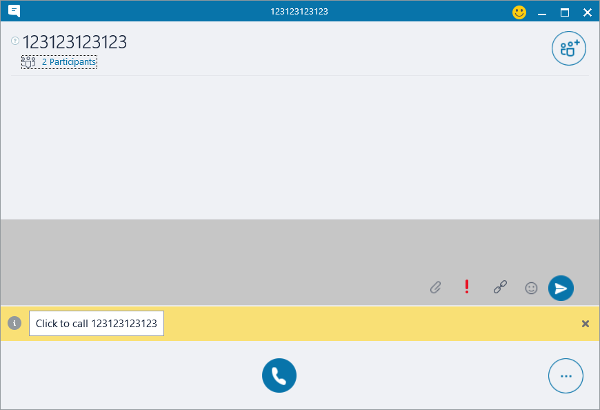 If the user is signed into Skype for Business, the following code opens a window and readies a phone call to "123123123123". The following image shows the launched Skype for Business window. If the user is signed in to the standard version of Skype, the following code shows how to start a call with Skype user, echo123. To send an email to a user, use the mailto URI protocol. The following example shows how to create an email in the user's email client that's ready for them to send. 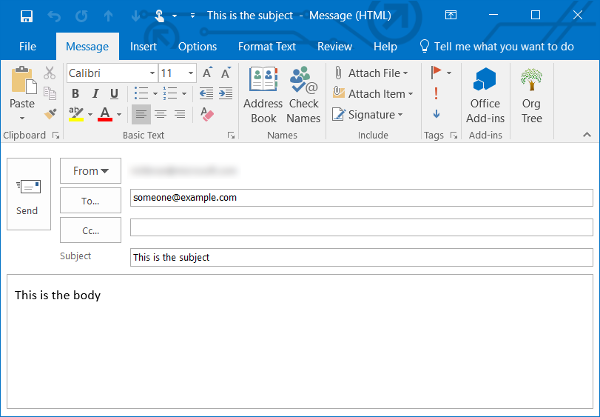 The example creates and email addressed to "someone@example.com", with a subject line of "This is the subject", and a body of "This is the body". The following image shows the crafted email. The following are the objects that you use to specify the channel data that you send Cortana. action CortanaAction The action to perform. Defines the action to perform. uri string The URI of the app or website to launch.